Back in the mid-80s, my parents and I would go to see my older brother at his house, about once or twice a year. While the adults chatted in the living room, my brother would let me play with his Coco-2 computer upstairs. He had many games, and my favorite among them was	Module Man. This game has a rare addictive quality to it. I tried it again under emulation in 2008, just to see how much of my appreciation of the game was based on nostalgia, and I'm happy to report that, after all these years, I still managed to get caught up in the gameplay and I couldn't stop playing! This is largely explained by the fact that every game session is different: Rooms are always the same, but items and enemies are randomly placed inside these rooms, so you never really know what you will find beyond the next door. This simple feature gives the game amazing replay value, despite being rather difficult and unforgiving. Several homebrew programmers were attached to this project over recent years, but it was Mystery Man who stepped in and saw the coding of this game through to the end, during the first half of 2013. 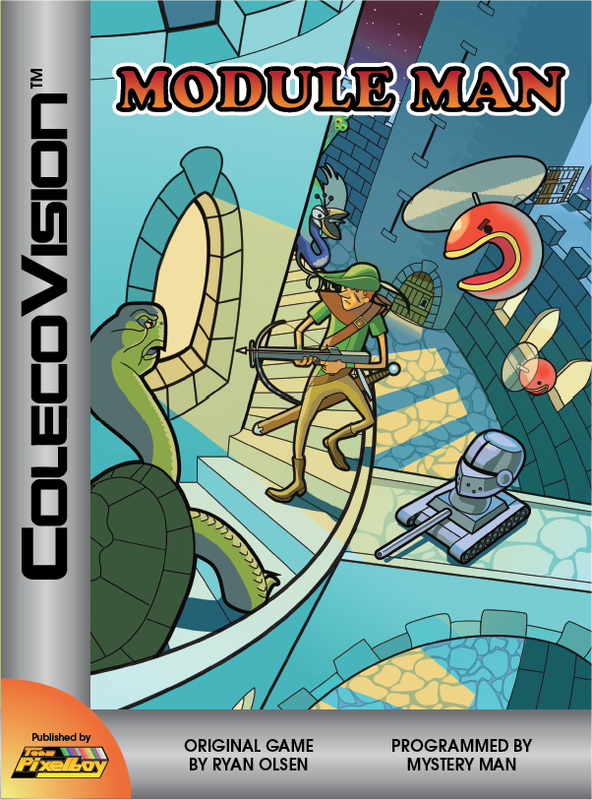 Unless you're a die-hard Coco-2 fan, you've probably never heard of Module Man, and that's why releasing a ColecoVision version of this game was so important to me. It's my mission to make you discover this little gem of a game. SPECIAL THANKS: Tommy Boyer, Albert Yarusso and all AtariAge forum members. 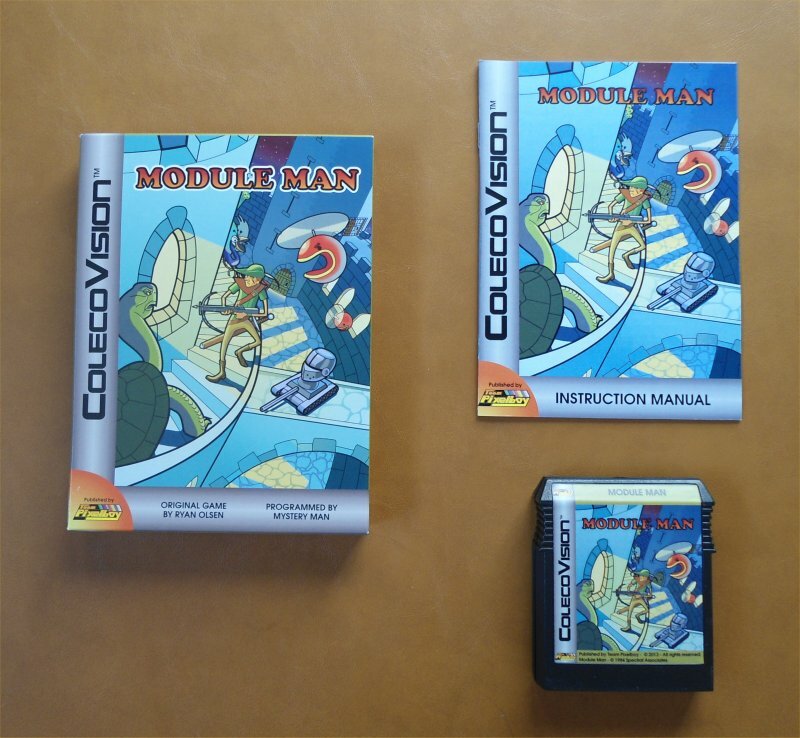 Here is a YouTube video of the ColecoVision version of Module Man. Here is a YouTube video of the Dragon-32 version of Module Man.